The bottom line, snow fighting wise, is this year if it reaches its fullest potential, could be as bad or worse than last year. 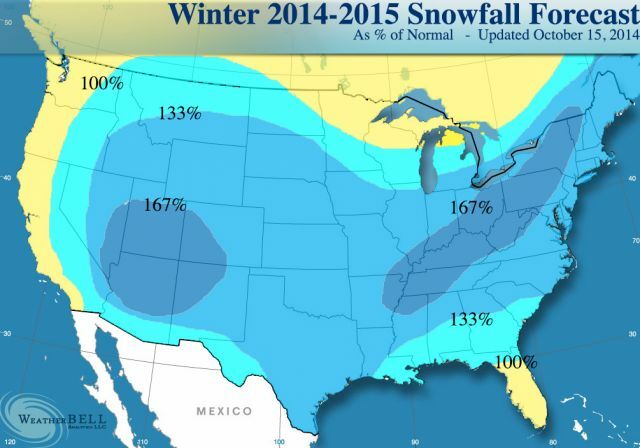 The old winter forecast also had a big ticket winter, but the core was farther to the Southeast than the new forecast. The forecast is a blend of pre-existing ideas with new analogs coming to light along with the most recent seasonal runs of the ECMWF and JMA factored in. As we saw last winter, there is a lot of counter-sentiment to our ideas. I cannot speak for other ideas, but I can let you know what we are looking at. Many of the things you will see us look at, you will find mentioned in other circles after the fact, like last year, if our cold idea comes out correct. There is no change in the idea this is a big ticket winter, but as I have said in all the long range ideas, I need to home in on it like I did last year. If I went warmer, that is one thing, but to me the two big questions are (1) where will the core of the cold be? and (2) can this go to the type of extremes we saw in the late 1970s? There are ducks on the pond: blocking, a more active southern branch, and the delivery of major cold into the U.S. Consequently, the forecast has changed to expand the center of the core in the nation's heartland and added more snow to the picture nationwide.